Ramriddlz and Mavado connect on "Saugod." 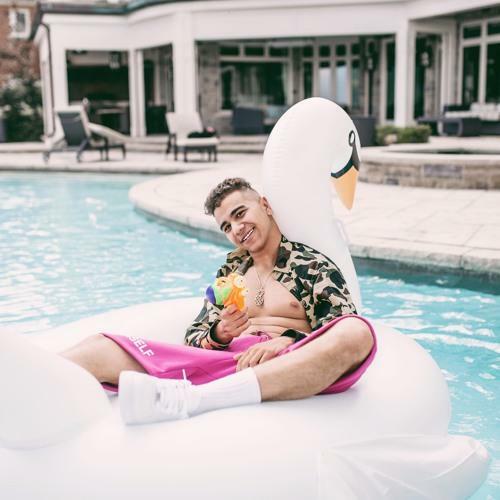 Toronto's Ramriddlz was given a quick career boost was Drake dropped his almighty co-sign on the young'n, remixing his locally-trending song at the time, "Sweeterman." It helped solidify a spot for Ramriddlz within in the game, but Drake's co-sign didn't extend beyond that, the rest was up to Ram. The rapper followed up "Sweeterman" with a few more leaks, including a Playboi Carti collaboration, before finally dropping his EP Venis back in March which fell a bit flat. We haven't heard from him much since then, but with summer underway, he returns with an attempt to capitalize on the summer vibes. Given the abundant dancehall and reggae influences in most of Ram's music, it's only fitting he collaborate with Mavado (although, admittedly, it's not a very much of a feature). Check out the Young God-produced cut and let us know if you're coming around to Ramriddlz's style.